I am a medium working in The Netherlands but also worldwide, face to face or through Skype. I'm a certificate holder of the Spiritualist National Union (SNU in the UK) in teaching, demonstrating mediumship and public speaking; CSNU t, d & s.
I have not always known I was a medium, but at some point in my life I couldn't ignore it anymore. It was than that I decided to investigate and find out. It quickly become clear that I am a psychic, a medium and a healer. ​A psychic reads o.a. your energy and a medium is someone who is able to also have contact with people who are no longer amongst us in the physical sense. I am merely the person in between the world here on Earth and the Spirit world. This is also during healing when healing energies are given to help us with physical, emotional or any other problem. I've worked on platforms in The Netherlands, England and New Zealand with great pleasure. 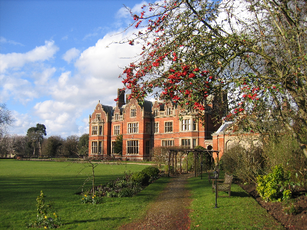 As I am convinced that we keep developing as a person and in what we do, I regularly visited the Arthur Findlay College, The worlds foremost college for the advancement of Spiritualism and Psychic Sciences in England. This is a worldwide known and respected college for mediums where I follow courses and meet colleagues. I'm also taking classes elsewhere with respected tutors. Amongst my tutors were Eileen Davies, Tony Stockwell, Glyn Edwards, Matthew Smith, Kitty Woud, Val Williams, Mavis Pittila, Steven Upton, Stella Upton, Colin Bates, Sandie Baker, Paul Jacobs and many others. Other workshops I attended in The Netherlands include Reiki I, II and Master, Quantum Touch, Trance Healing, Mediumship on many different subjects, Shamballah meditation, meditation training with David Ji (the Deepak Chopra Centre) and Tijn Touber.